Sells Goalkeeper Products Apparel Sizing: The sells apparel runs true to size compared to most other goalkeeper brands at Keeperstop. The rain overall and rain jacket run a standard length and width. 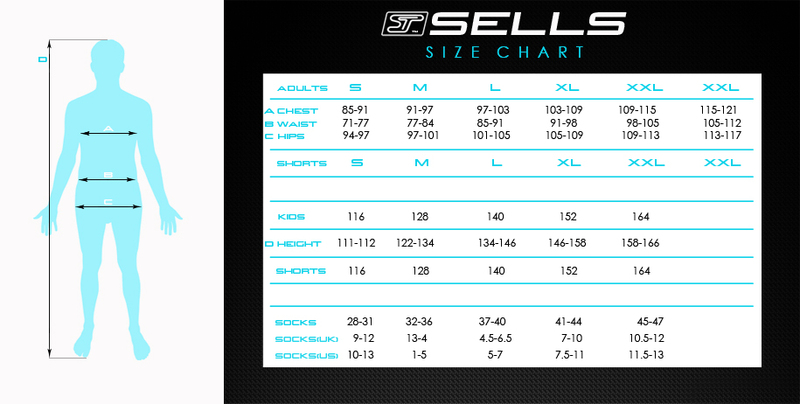 The sizing chart below is from Sells and uses CM as its sizing metric. Sizing can be converted to inches by dividing the numbers by 2.54.